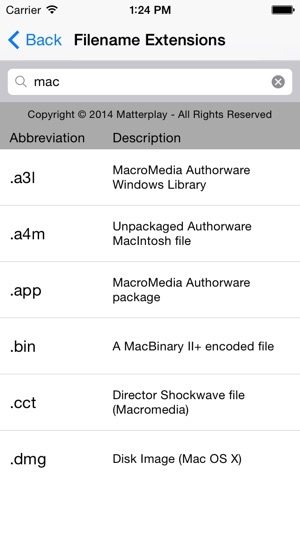 Computer Dictionary is less than 4Mb, other dictionaries with fewer terms take up 6Mb-12Mb on your device. 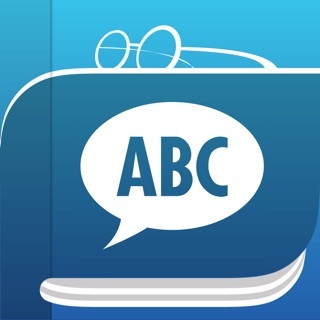 Our new Computer Dictionary is one of the most complete information technology reference and educational apps for defining computer, Internet, multi-media, and telecom terms. With our new Computer Dictionary you don't have to scroll through long lists of terms. 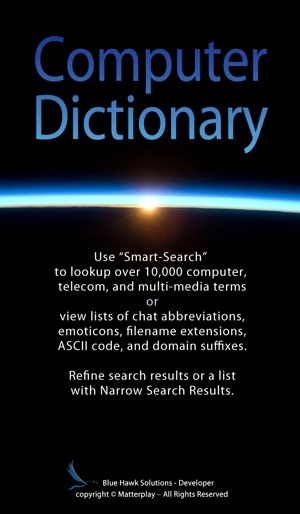 Instead you can quickly Smart-Search a database containing over 10,000 high-tech terms and definitions. 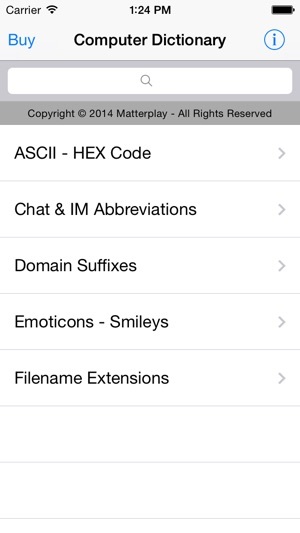 You can scroll lists of common Chat Abbreviations, Emoticons, Filename Extensions, ASCII/HEX Code, and Internet Domain Suffixes. You can "Narrow Search Results" for the lists and the database instead of scrolling long lists. For example if you are looking for what TNTL means you can either use the "Smart-Search Database" box and search the database, or go to the Chat list and scroll to the "T" section, or while in the Chat list you can use the "Narrow Search Results" box to find TNTL (Trying Not To Laugh). For over a decade Computer Dictionary has been used by schools, private companies (Cambridge University Press, Platon Consulting, etc) and online. 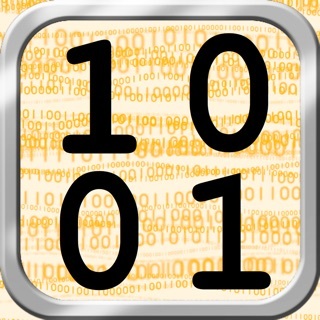 We regularly update the terms with definitions and lists. 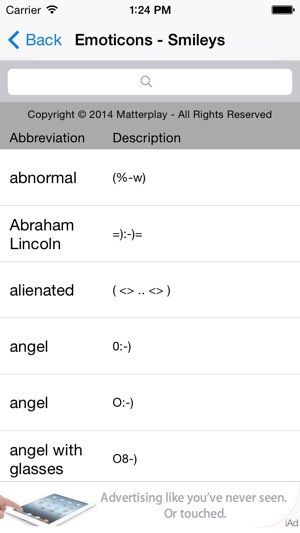 The Computer Dictionary is now available as a stand-alone mobile app for the iPhone/iPod and the iPad. No Internet connection is required. 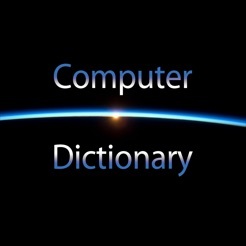 Our Computer Dictionary is not as cumbersome as some and is more complete than others. 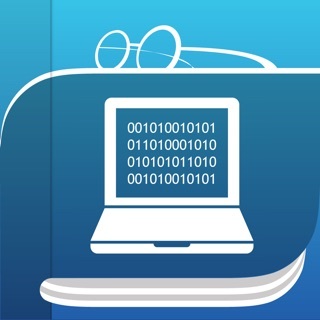 The Computer Dictionary developer is Blue Hawk Solutions (http://bluehawksolutions.com). Please contact us if you have any questions or suggestions. Thank you for your support. Just updated to new iPhone 7 and this app works great in iOS 10. It has been useful working with clients who don't know tech. Most of my clients use iPhones or iPads and haven't had any problem using the app. Won’t even open on my iPad Pro 12.9. 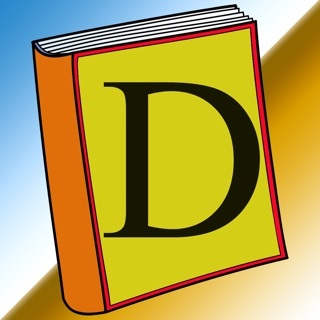 Best IT dictionary I have tried. This update seems to have fixed the issue of cutting off very long definitions and it seems faster maybe because of the iOS update. I've noticed that they add new terms throughout the year. I bought another technical dictionary to compare but the other only had a few hundred terms and for me the free ones I tried were worthless. I also have a $5 dictionary with images but it's slow and to me somewhat disorganized and I only use it when I need a graphic, which is not that often. I'm majoring in IT and this has been very helpful for school this year. I sure could have used it in high school where we had outdated textbooks. You can drill-down search results or lists faster than scrolling and adding an index A B C etc would be unnecessary. 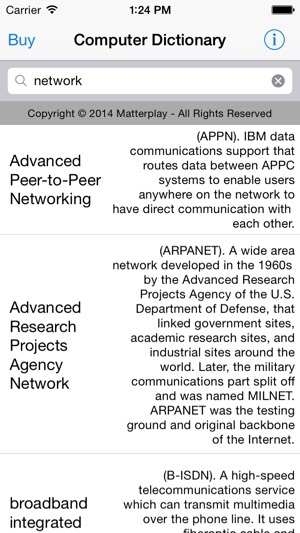 If you are considering classes or a career in IT or telecom, here are lots of both computer and telecom terms in one dictionary.